Continuing to complicate the narrative surrounding the new Ghostbusters movie, the female-led remake didn’t score the No. 1 spot at the box office last weekend. But it didn’t bomb, either. 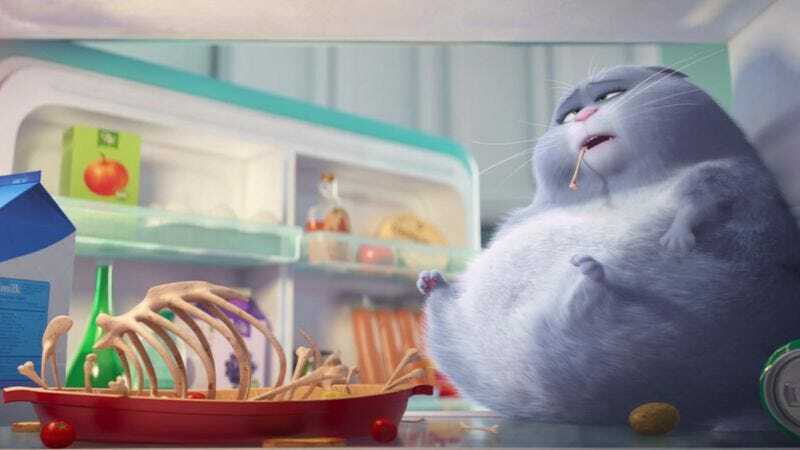 Instead, it pulled in a respectable $46 million, coming in just behind The Secret Life Of Pets, which dropped to less than half of last week’s record-breaking $104 million haul at $50.5 million but still managed to keep the No. 1 spot on a slow summer weekend. (Ticket sales are down 17 percent overall from this time last year.) Still, this is the biggest domestic opening yet for director Paul Feig and frequent co-star Melissa McCarthy, and word-of-mouth—the good kind this time—from women excited to see themselves represented on screen (and nursing crushes on Kate McKinnon) could carry Ghostbusters through the next few weeks. And a solid showing is about all Ghostbusters could ask for in the summer of 2016, anyway, considering its handicap. No, not the woman thing. The live-action thing. Animated films have dominated this summer’s box office, and one of those hits, Finding Dory, even set a new record this past weekend for the highest grossing domestic release of all time for an animated film. Dory’s made $445.5 million so far; $11 million of that came in this past weekend, securing it the No. 4 spot behind The Legend Of Tarzan, which is doing surprisingly well for a movie we kind of forgot about. Speaking of, this week’s male-led wide release, The Infiltrator with Bryan Cranston, charted at No. 8 on one-third of the screens of its ghost-busting counterpart. The so-so ’80s undercover drama made $5.3 million, just behind Central Intelligence (No. 7), The Purge: Election Year (No. 6), and Mike And Dave Need Wedding Dates (No. 5). Meanwhile, in limited release, Woody Allen continues to enjoy relative safe harbor from the online-controversy storm as his newest, Cafe Society, made $355,000 on just five highly intellectual theater screens for an impressive $71,000 per-theater average. Also lucky in limited release—presumably with totally different audiences—was Dinesh D’Souza’s Hillary’s America: The Secret History Of The Democratic Party, which The A.V. Club will review next week and made $77,500 on three theater screens. Both movies go wide this weekend, giving us a new referendum on the state of America as reflected through box-office receipts to obsess over. Hooray?